Angel's Temptation - Kampai! : Kampai! Distillery: Nishi Shuzo Co, Ltd.
Don’t let the sappy label fool you, this is a legitimately delicious shochu from premium shochu maker, Nishi Shuzo, producers of the extensive and high quality Hozan line. Starting with a white koji sweet potato genshu (untiluted), this shochu is aged for ten years in French sherry casks. That represents one of the longest aged shochus available in Japan and by far the most aged available in the U.S. Almost all shochus are aged just a few months while other “oaked” shochus are aged only three years. Tenshi No Yuwaku fully embraces sherry or brandy like characteristics (I taste more sherry, but describe it more as brandy) while retaining the richness of a sweet potato genshu. 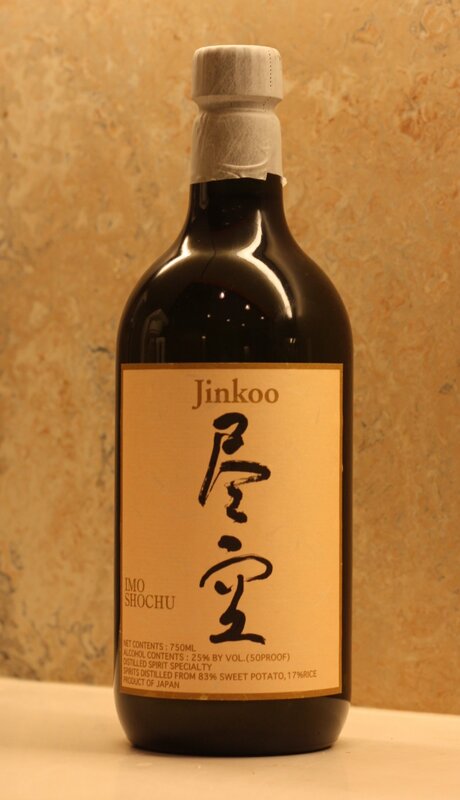 This results in a delicious dessert shochu, perfect for sipping after a meal. I’ve taken to finishing my meal with a glass of this and a shiso sorbet when I visit Yakitori Tori Shin in Manhattan, one of just a handful of places that carry this by the glass. While I would normally want to cut a genshu shochu with some water, either hot or cold, I’ve been enjoying Tenshi No Yuwaku straight as a digestif. I would definitely not drink this on the rocks as you’d destroy the delicate flavor characteristics that are so apparent in this premium imo shochu. Oh, yeah! I love this shitte! Although I have to admit, I really like it on the rocks. They serve it at Chef Ichimura’s sushi bar at Brushstroke. Do you know if this is available in New York City? Rick Smith carries TENSHI NO YUWAKU at SakayaNYC.com. Yes, I have seen it at Landmark Wines on 23rd Street and at a number of restaurants around town including Tori Shin on the Upper East Side and SakaMai in the Lower East Side. it’s also available at Tomi Jazz in midtown east, delicioso! Ah yes, my favorite musical izakaya. I usually go with some of their other rare shochu pours, but this would be the topper. Found a bottle here in Japan for 4980 yen, bout 50 bucks. Love the website and just dropping in to show my appreciation for your website! (Full disclosure, i’m working in Japan at a company that produces one of the products you’ve reviewed on here) Your articles/reviews on shochu are the best i’ve found and have helped narrow down my shopping immensely. Keep it up! Thanks much. Are you a foreigner working for a Japanese shochu company? Please tell more! Yep! Working in the overseas business promotion section of a Japanese shochu company, so it’s always great to have sites like this written by people who clearly know much more than i do (though i’m learning, i promise!). Generally speaking I find North American/European palates and preferences match my own more closely than Japanese, so the reviews/recommendations usually have a greater chance of being on the mark. May I ask which company and which Prefecture? I’m in Kyushu frequently so would be great to meet fellow foreigners interested in shochu, especially those working in shochu. I’m actually based in Kyoto at Takara Shuzo’s head office rather than down in Kyushu. Admittedly my reasons for being here are not because i was a shochu fan (i still prefer nihonshu), but it has definitely grown on me. Of course, being in Kyoto means being removed from where most shochu is produced, but several of your reviewed shochu are readily available in supermarkets here anyway. Feel free to shoot me an Email if you’re in the country or just want to get in touch though (i assume the Email address i entered in the comment form shows up in the back end of your site? ), at the very least i could offer something in the way of information on izakayas or drinking spots in Kyoto! Available from Rick Smith at SakayaNYC.com. and Hi-Timeswines.com (on west coast). 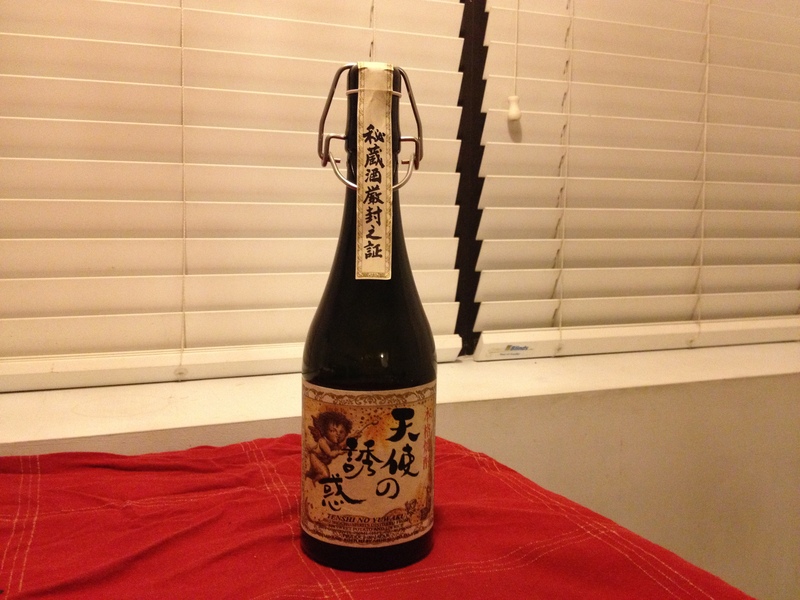 This is a must try for any and all sake (Nihonshu/shochu) enthusiasts. The nose is delightful. Most of my friends are not fans of imo (sweet potato) shochu. They typically are put off by the strong nose. Personally I enjoy all aspects of imo shochu from nose to tail. 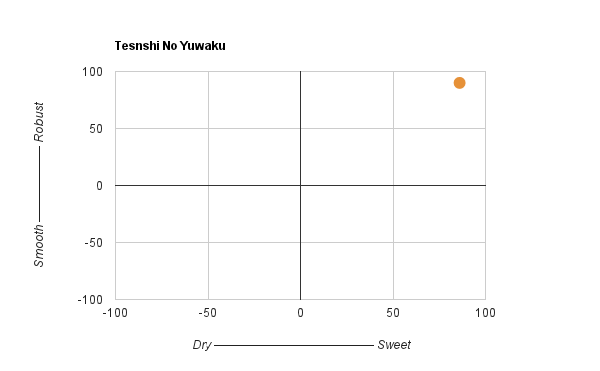 So for those of you who are brandy/sherry drinkers, try Tenshi no Yuwaku. I am anxious to introduce this to my friends. I think they will be pleasantly surprised. Very good! Glad you enjoyed! Very nice stuff. 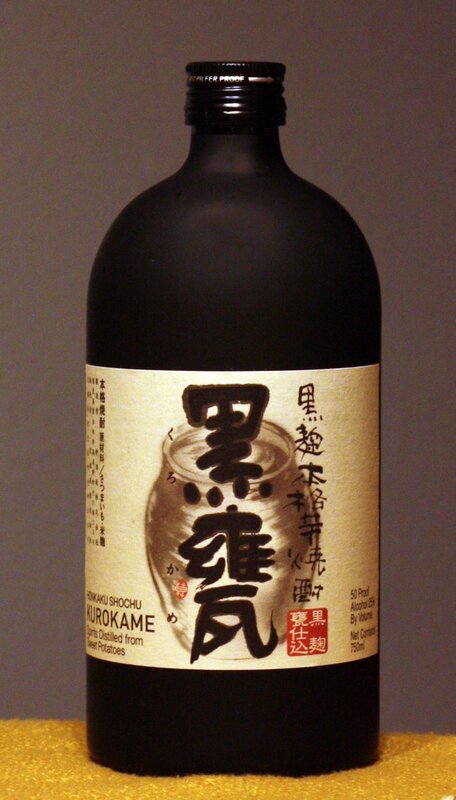 We started the imo tastings with the easily drinkable, unassuming Kuro Kirishima. Neither of those words would be used to describe Kaikouzu. This is a single distilled imo using the golden chestnut sweet potato local to this region of Japan. 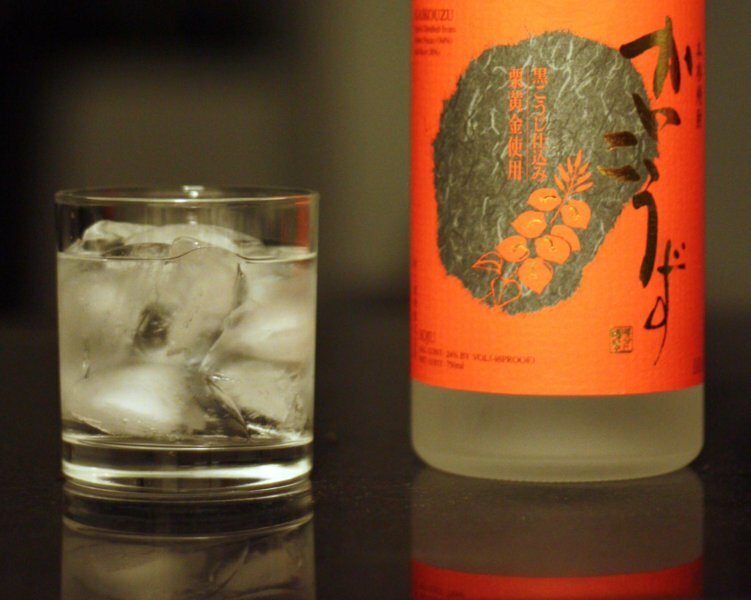 This shochu smells like sweet potato in an oddly earthy way – almost unwashed.